Whether you are going scuba diving, free diving or spearfishing, a good diving mask is an absolutely necessary accessory. 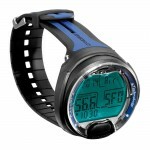 A lot of people who are new to such underwater sports are often the impression that they can make do with the good old pair of swimming goggles, but it’s to keep those things restricted to the swimming pool. In the big leagues under the sea, you need to ensure that you can see properly and a good diving mask allows you to do that and much more. 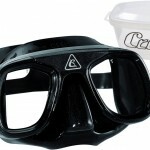 Today we will take a look at the Hollis M1 Frameless Dive Mask. 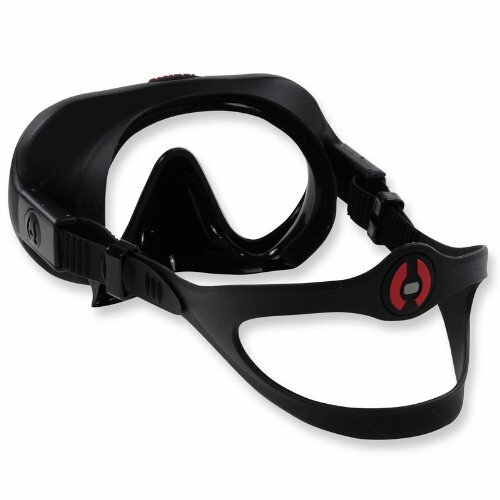 As the name suggests the mask is frameless which instantly makes it a favorite for divers as not only is it less bulky, there’s a lot less going on around the edges of your vision allowing you to see better under water. 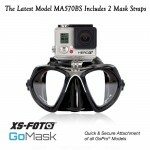 Only when you try this frameless mask will you realize what you were missing when you were wearing regular masks. When you are underwater, light behaves in a different manner than it does on land. Not only is light in not much abundance down there, everything is a bit ‘liquid’ a sis to be expected. Then there’s also the problem of light penetrating through the surface of the water than can act as a ‘blinder’ in certain situations. Ever walked into a dark room from bright sunlight? Yes, that’s how it can feel underwater when you are faced with an invasion of natural sunlight from above the water surface. This is why dive masks come with a ‘skirt’ that wraps around your forehead. Not only does this skirt shield your eyes from unwanted light, it also provides a comfortable grip around you forehead and keeps water from swimming in to the mask. 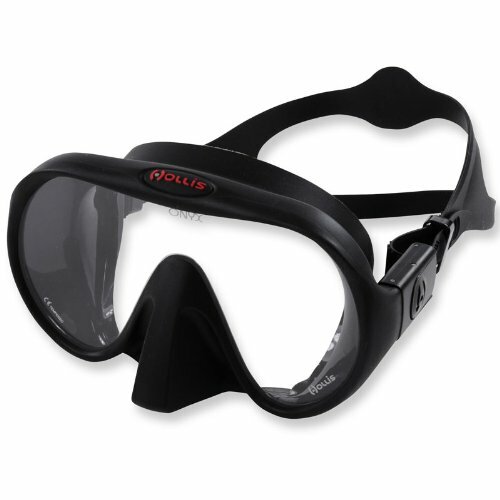 The Hollis M1 Frameless Mask has a black silicone skirt and as any experienced diver knows, silicone skirts are much better than traditional rubber skirts. This is because not only are silicone skirts easier to clean and wipe off, they are also much sturdier and as a result last much longer. As mentioned above, the Hollis M1 has a black skirt which is much more efficient at blocking light than other translucent or colored skirts. This allows you to have a much better tunnel vision than you otherwise would have and as a result, you can really enjoy the beauty that the underworld ahs in store for you. 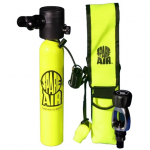 When you buy a dive mask you want it to be as crystal clear as possible and to ensure that, the Hollis M1 comes with the famous Saint Gobain Diamant crystal clear glass lens. This is a highly clear glass that contains barely any color residue. This glass is so non intrusive that it is even used in big museums and expensive furniture items. The dive mask fits snugly around your face without causing any pressure points, fogging or any unneeded leaks. A great mask to have in your kit bag whether you are a pro or a beginner.